Stay warm and visible with this 9.8 oz. heavyweight 100% polyester anti-pilling micro fleece jacket. 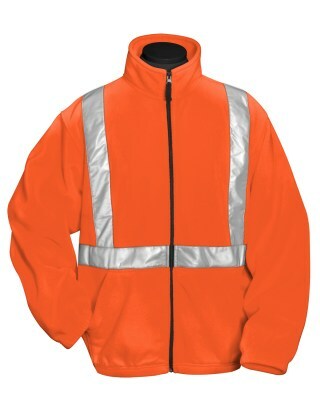 Features 2" Vizlite™ reflective tape and two front zippered pockets. Elastic waistband and cuffs provide a custom fit. Meets ANSI/ISEA 107-2010 standards, Class 2/Level 2.